You may like your zombies in the George A. Romero movie style, or the graphic novel and TV versions of The Walking Dead, the speedy undead of World War Z, or even the gory silliness of Pride & Prejudice & Zombies, but my go-to person for my zombie fix is C. A. Verstraete and her historical and YA zombies, and she’s back again with Lizzie Borden, Zombie Killer 2: The Axe Will Fall. In this follow-up to Lizzie Borden, Zombie Hunter: Every Family Has Its Secrets, we return to Fall River, Massachusetts, where Andrew Borden’s daughter was acquitted of murdering him and his second wife because no one would believe a woman could do such a horrible thing, and because nobody knew it was self-defense—Mr. and Mrs. Borden attacked her as zombies. It’s been a while, and Fall River has been quiet, but now it’s not. Zombies are at it, again. Well-meaning families had hidden afflicted family members, but now they’re loose…and Lizzie’s own sister is missing. Lizzie teams up with Pierre, her trainer in the art of hatchet-hacking, and the dormant sparks of romance start flying anew. Their investigations into who is behind the latest invasion takes them back to places where they had faced peril, and into parts of town they had never gone, Will they quell this shambling tide, or will they be swept up in it, infected like the creatures they hunted? There is class warfare, capitalism gone wild, and family guilt. What a combo! Why do I like Verstraete’s take on the zombie hordes? Purpose and individuality. These aren’t the typical masses of bodies to be hewed and skewered. They are of different sizes, classes, and even attitudes. Different attacks have different purposes. Sometimes, it’s to show off Lizzie’s prowess with her weapon of choice. 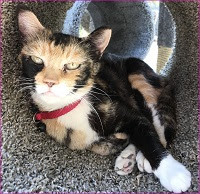 In other situations, it builds tension between what she has to do and what her heart tells her; it’s not always an automatic response—smell zombie, see zombie, kill zombie. It’s a duty she takes on reluctantly. C. A. Verstraete has given us teenagers going through zombie transition stages, as well as zombies and ghosts (The Haunting Of Dr. Bowen) in Fall River. I wish for more merry mayhem from her. Long may she maim! 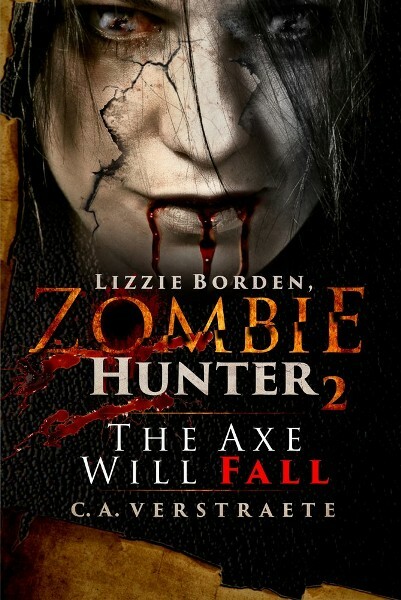 To enter to win a copy of Lizzie Borden, Zombie Killer 2: The Axe Will Fall, simply email KRL at krlcontests@gmail[dot]com by replacing the [dot] with a period, and with the subject line “axe,” or comment on this article. A winner will be chosen August 18, 2018. U.S. residents only. If entering via email please included your mailing address. If entering via comment please be sure to include your email address. Thanks again, Terrance, for your support. Glad you liked Lizzie and more zombies! Sounds like a fascinating read. Thanks for the chance.